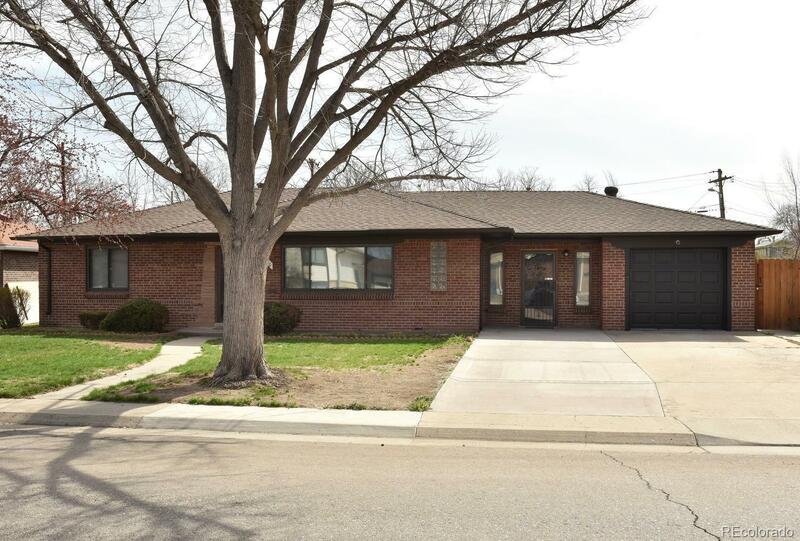 If you’re looking to spread out in a nicely priced 1950’s brick ranch, this one could fit the bill. One level living, no stairs and a 9,271 square foot privately fenced lot just may rival the size of any others in the area. Pride of ownership abounds as this home has been a family treasure from the beginning. Formerly a model home back in the day, this 1952 charmer has the coved ceilings, arched doorways, a hallway built-in linen closet/drawers and an eat-in kitchen. This quality built brick home offers years of being practically maintenance free. A new furnace and central air were installed in 2017. The interior and exterior trim has fresh paint. New flooring makes this one move-in ready allowing you time to enjoy your spare time in the backyard, grilling/entertaining under the large covered patio or grow the garden of your dreams-there’s plenty of eastern and southerly sun exposure. Side alley offers added privacy. EZ access to Fitzsimons, Downtown Denver, Aurora, I-70/225 or DIA.